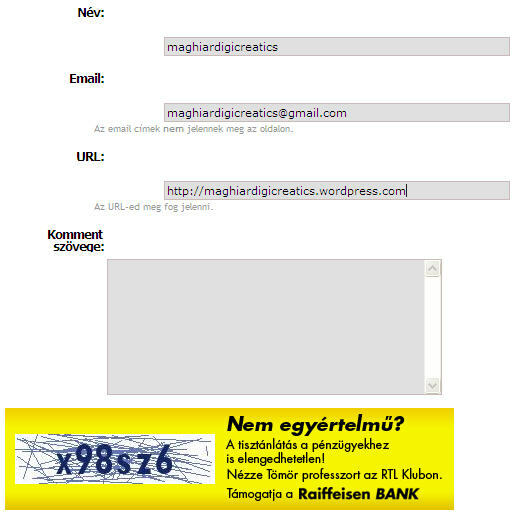 sponsorships | MaghiarDigiCreatics: Online campaign creatives. Online branding. Online communication. You are currently browsing the tag archive for the ‘sponsorships’ tag. Isn’t that clear? Discernment in finance is crucial. Watch the TV program by Raiffeisen Bank. Nicely done by the Advertiser as the sponsorship is clickable and directs to a video published on the portal of a TV channel. Even though I don’t think the copy of the ad is strong enough, the idea and the execution is very well done! The fact is that Hungary took the 13th position in the overall rankings of the 2004 Athens Olympic games medals beating Greece, Canada, Spain and many much bigger countries. You can go back in time, you will find even better results but my guess is that we may be in the top 15 in Beijing too. Therefore I find it really interesting, that Vodafone marketing decision-makers decided to create online content around the Hungarian Waterpolo Team, even though Volvo has been doing it for ages. (Okay, I know the design is crap but let’s belive that it is because all the money goes to the sport. 🙂 ) Plus Soproni (a Hungarian beer brand) also has an initiative released three month ago to support the waterpolo guys in Beijing here. Of course, I am happy if sponsorship money helps our sportsmen to have a quality preparation period, or a better lifestyle. But is that a good message for Vodafone to be the No. 3. sponsor of the Hungarian waterpolo? Do they think that fencing, swimming or kayak/canoe is not mainstream enough?